Like the soaring red bridge that defines it, San Francisco draws people in. Wedged into a hilly peninsula between San Francisco Bay and the dramatic Pacific Ocean, its great weather, natural beauty, casual sophistication, cultural diversity, character and color give it a special vibe. Plunging coastal cliffs, urban parks and magnificent woods are great for hiking and biking. Picturesque neighborhoods, linked by steep streets and secret stairs snaking around hillside buildings,are fun to explore. Along the bustling expansive waterfront, sea lions frolic, fishermen bring in their catch, boats depart on scenic bay tours and vistas are spectacular. In museums, art flourishes and the natural world comes indoors. Climb towers, photograph Buddhist temples, browse legendary bookstores, sample fresh, flavorful food, shop boutiques and vintage stores. Travelers who like someone else to do the driving so they can relax and see the sights opt for the ease and comfort of a narrated sightseeing bus tour. Options are numerous. One way is on an all-day hop on/hop off narrated sightseeing tour on a double-decker bus with great viewing windows. Kids love the ones with open tops. How you use it is up to you. Get a great overview and take in all the sights without getting off the 2-3 hour narrated tour. Or, hop off at many stops along the city-wide route to explore places you came to see – Fisherman’s Wharf, Union Square, Haight Ashbury, North Beach, Golden Gate Bridge, Chinatown, Pier 39, California Academy of Sciences, Golden Gate Park. Get one or multiple day tickets which allow time to see more. 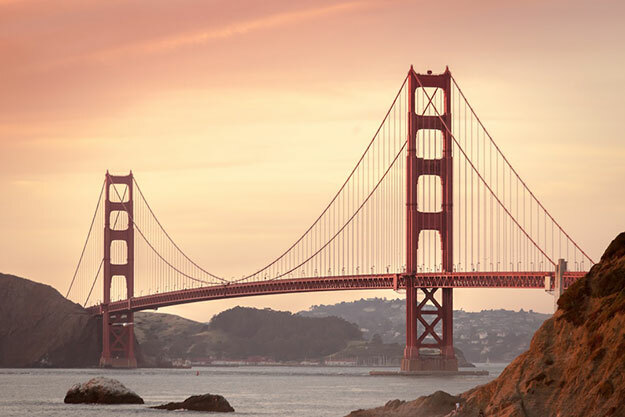 Also popular: sightseeing day trips to hot spots outside San Francisco – down the scenic coastline, over Golden Gate Bridge to Marin County, and into the valleys of wine country. Check out options and save using the following coupon. Getting out on beautiful San Francisco Bay is a must. Views are spectacular. Photo ops are everywhere. Choices of tour types and duration are many, with options for everyone. Lasting anywhere from 1 to 3 hours, boat tour choices range from narrated sightseeing tours to longer cruises offering dinner and dancing. Families with children and the outdoorsy enjoy the thrill of sailing around the bay aboard a sleek catamaran. Those looking for a more enclosed experience on board a larger vessels with good viewing windows gravitate towards cruises offering weekend brunch, lunch or dinner options, complete with music and sometimes dancing. Romantics find twilight or sunset cruises memorable. Whichever you choose, sail the Bay and save by booking online using these coupons. 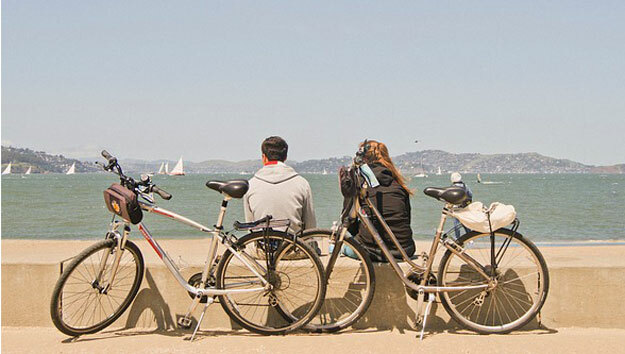 Active travelers with bike riding experience enjoy exploring San Francisco on a guided bike tour. It’s a dynamic, up-close encounter with one of America’s most strikingly beautiful cities. Biking through the narrow, picturesque streets is an immersion into the sights, color and character of unique neighborhoods. A guided bike tour across the Golden Gate Bridge has fabulous vistas and a definite wow! factor. All bike tour options involve urban biking, and while some cover flatter terrain and have no age limits, others taking on steeper climbs are for experienced riders. Bike tours can last 3-4 hours, with varied distance traveled. Below are bike tour options with coupons to use to book your experience online. Check back for future promotions.